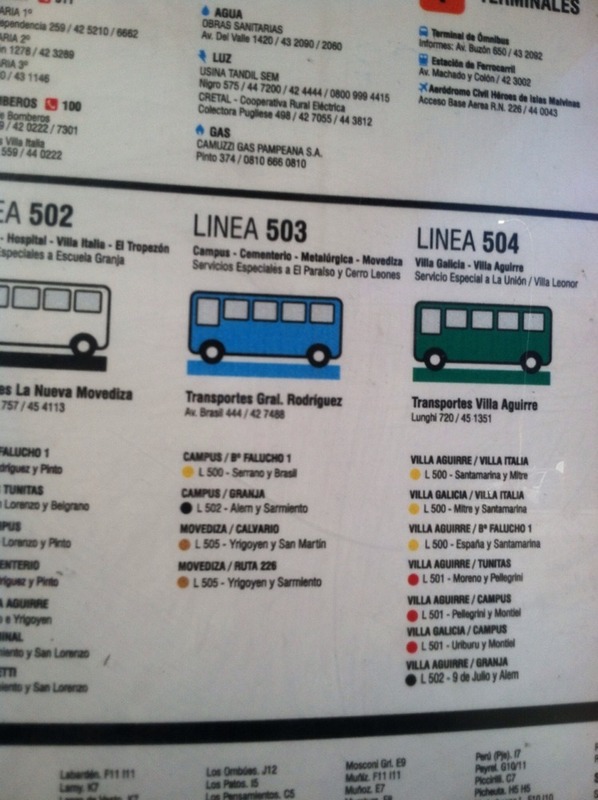 The buses are color coordinated, this has not changed in over 10 years. This photo was advertising a public demonstration of the change in fare. 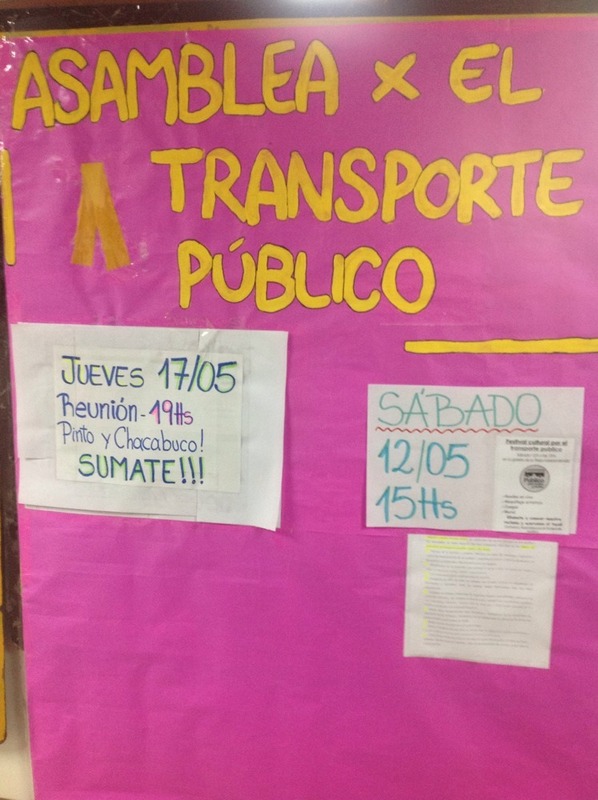 Additional photos of the the students opinion regarding the transit and the governments role and list of changes the students want to see. My recent vocation visit in Tandil allowed for me a one-on-one opportunity with their Director of Transportation. The Director was gracious to spend the morning answering my plethora of questions regarding their transportation system. The system in Tandil, looking at the map, came close to almost covering the whole community with some sort of transportation. Which I found interesting considering it’s size. Comparable to other communities we visited Tandil was doing a pretty good job with the amount of services available to the community. Tandil has not changed it’s system in over 10 years, they can add to their system 2 kilometers a year but have not made any large route changes. They consider this a benefit as it helps sustain ridership because the community members age with the system and know how to get from point A to point B without little direction. Public transportation buses are not ADA accessible, there is a separate private taxi in which folks can access if necessary. The routes crisscross across town with the center mid-point originating downtown, this crisscross approach allows for majority of the city to be covered. 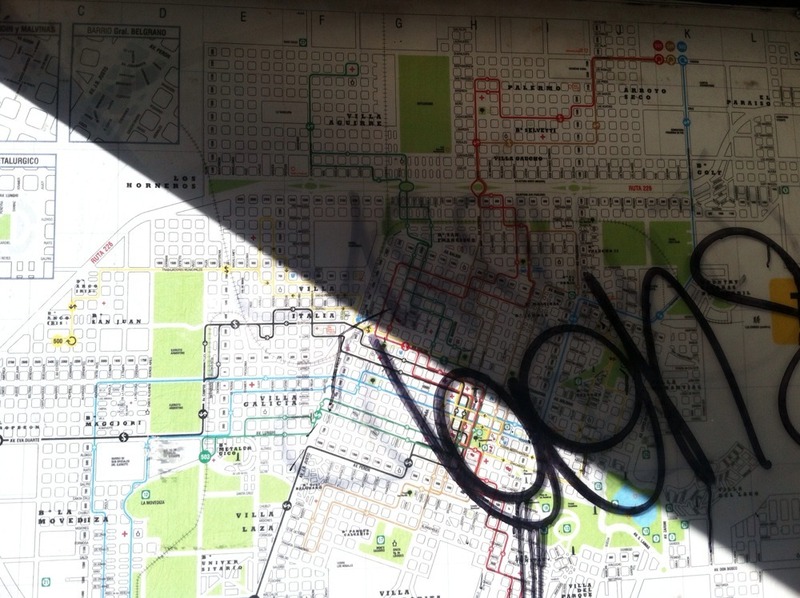 The Tandil transit system recently saw an increase in fees. As a result the students at the local university have demonstrated against this recent increase. 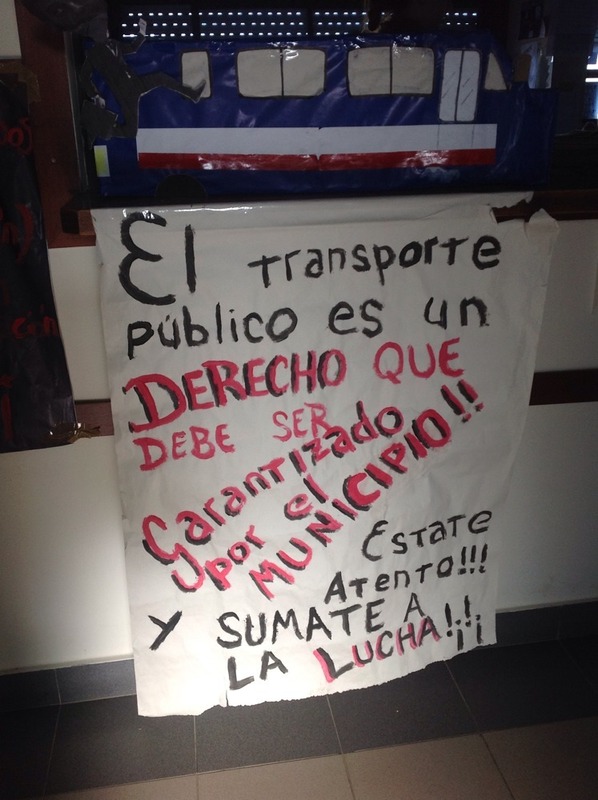 Shortly after my visit with the Director of Transportation our group headed off to a local university, as we walked the halls there was an assortment of posters up protesting the recent increase of fees for students. With a little help from my host mom I was able to translate what they said. 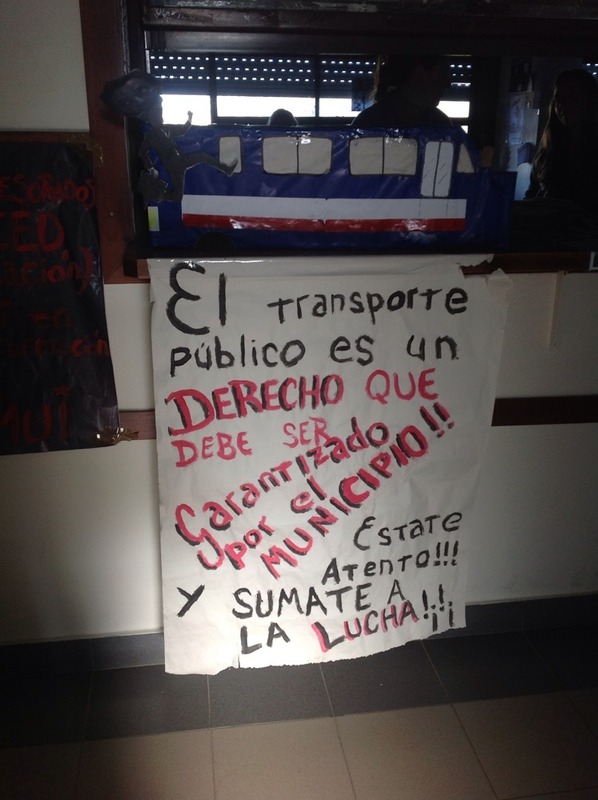 The posters protested the increase in fees on the students as well as their views concerning public transportation. 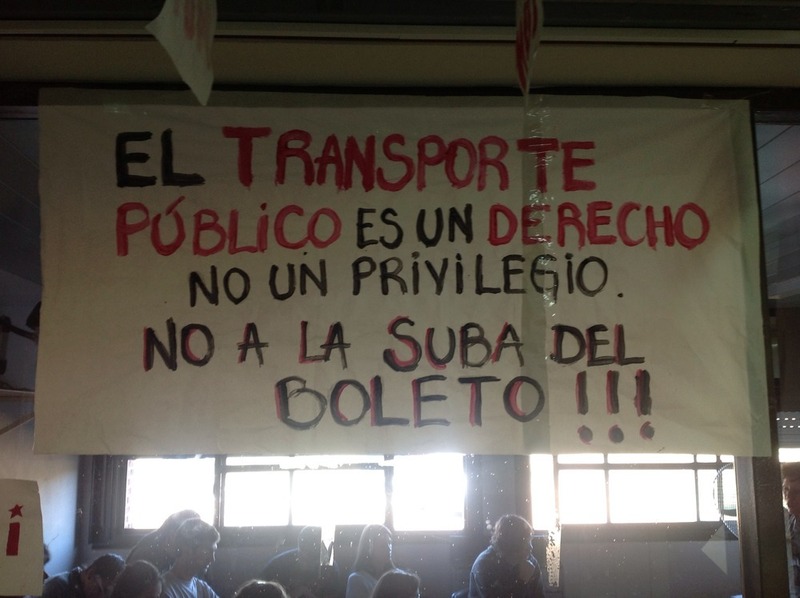 Many of the students view transportation as a right and not a privilege and the government should provide this service. 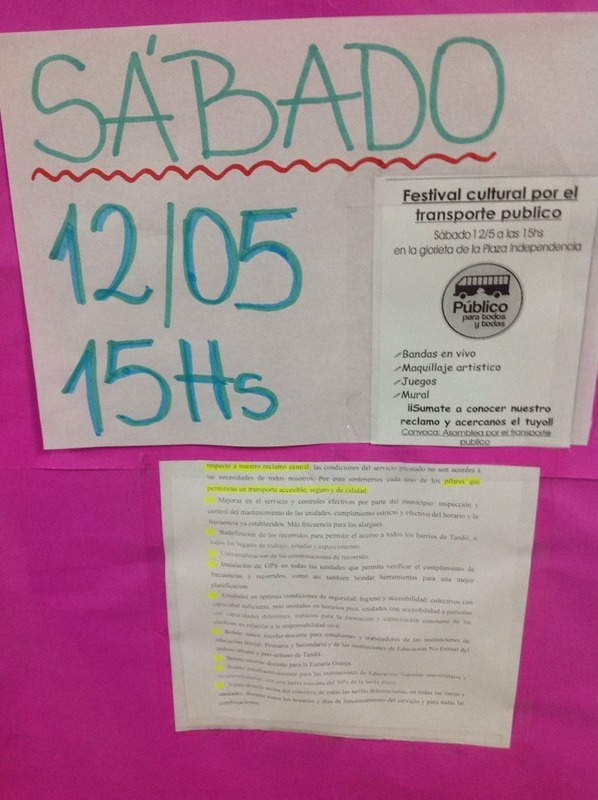 Another poster listed the demands that the students wanted met if the system is to raise their fees. I was disappointed to have seen these posters after my visit with the Director of Transportation, I would have loved to inquire a little deeper into the issues and concerns of the student body with the Director, but nonetheless the posters and the visit provided me with an insight into similar challenges that face many of our communities in Idaho. The cost of transportation continues to go up and with limited funding, service provided can be greatly impacted. 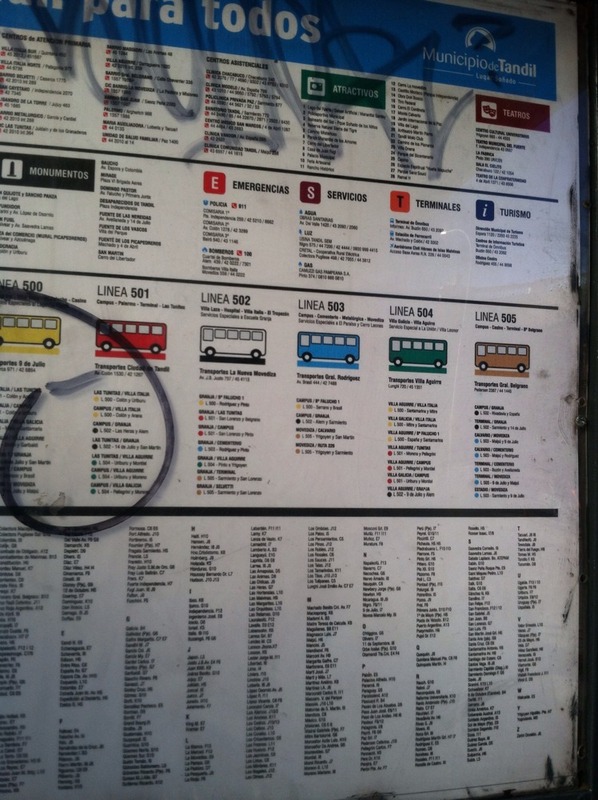 In Tandil the budget constraints impacted the quality of the service provided, for example poor maintained buses. In Idaho, the funding limitations unfortunately impact the quantity of the service provided.